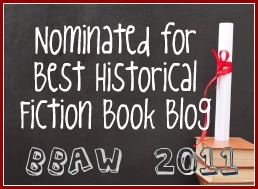 If you’re reading this, you probably already love historical fiction. But why do you love it? Is it the idea of a time where women wore long dresses, the rich rode in fancy carriages, and everyday speech was so much more formal? But don’t you just love really learning something as you read historical fiction? Something that makes you say, “Huh! I never knew that about Richard III/the Druids/Roman centurions.” Me too. And one of my favorite things to read about is the unusual sorts of jobs people had in previous centuries. And so when I sat down to write my first book, I knew that the protagonist had to have a truly unusual profession. 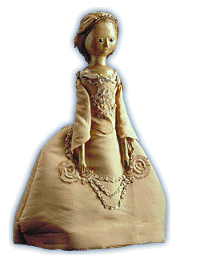 In my first book, THE QUEEN’S DOLLMAKER, I wrote about. . .you guessed it, a dollmaker to Marie Antoinette. I’m a lifelong doll collector, and knew the dolls have been around for centuries, but had no idea how they were made in previous times. It was fascinating for me to learn that high quality 18th century dolls were carved of wood, and were mostly used by the upper classes to display fashions. Also, doll carving was typically a man’s job, done by carpenters. In my next book, I decided to focus on what I consider a similar yet unique profession, waxworking, by inventing an apprentice to the great Madame Tussaud. 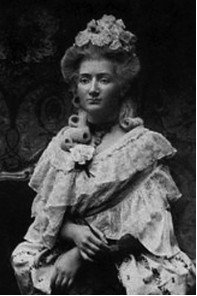 It is remarkable how much work went into creating a single figure. . .and Tussaud was sculpting, designing tableaux in which the figures could be displayed, and running her exhibition hall, with her only help being just her young son, Joseph, for many years. Even with today’s modern waxworking techniques, it takes the artisans at Madame Tussaud’s nearly six months to create a figure. Did you know that both men and women owned waxworks, but the women tended to enjoy more success? In England, anyway. · Kiver (a brewery worker)? · Jambee Maker (maker of a particular kind of fashionable walking cane)? · Hokey Pokey Man (Italian ice cream seller)? · Or how about a Papermaker, Coppersmith, Locksmith, Nailmaker, or Wheelwright? I don’t know about you, but I can imagine fascinating stories being woven out of any of these professions. Are there any other unusual professions you’ve read about and loved? 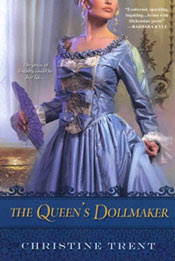 Christine Trent debut novel, The Queen's Dollmaker, will be released today December 29th. What a fascination way of going about historical fiction. I am currently reading The Queen's Dollmaker and loving the unique perspective. I'm glad you're enjoying it. I think there are an endless number of old professions an author could write aabout! Fascinating guest post. Thanks so much for posting for us Christine. Thanks for inviting me, Marg. It's a fun topic and was a pleasure to write. I love historical professions, too! I don't think any of her books qualify for the professions listed above, but Janet Gleeson writes about people with interesting professions in Georgian England. Thanks, Aarti. I'll look up Ms. Gleeson. Georgian England is one of my favorite periods. There were certainly some interesting jobs throughout history. One book I read recently had a wet-nurse at the heroine - it was quite different and very good! Heather, I can imagine it was interesting, since usually the wet-nurse is just an inconsequential character in historical fiction. But I can imagine it was a tough job. I mean, what if the royal baby died? Would it be the wet nurse's fault? Eeek! I love to learn about obscure jobs in history, and thoroughly enjoyed Tony Robinsons program 'The Worst Jobs in History' which covered a different period in history in each episode. Great topic!